ack! Pikas! It’s been 2 months and 2 states since I’ve spied or heard one of these buddies. 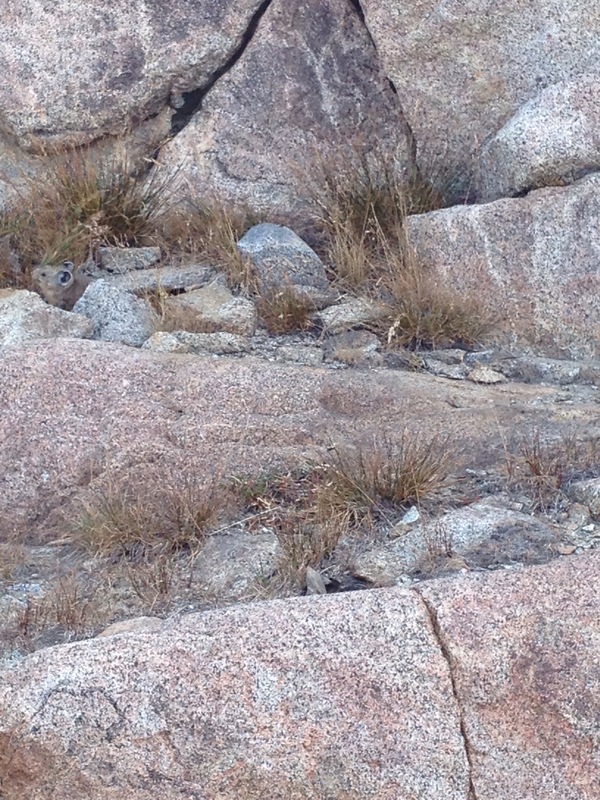 Pikas are my most adored and most beloved mountain creatures. They collect and dry grasses in high mountain tallus fields. They make loud peeping sounds when they feel alarmed. They look like bunnies with round ears. 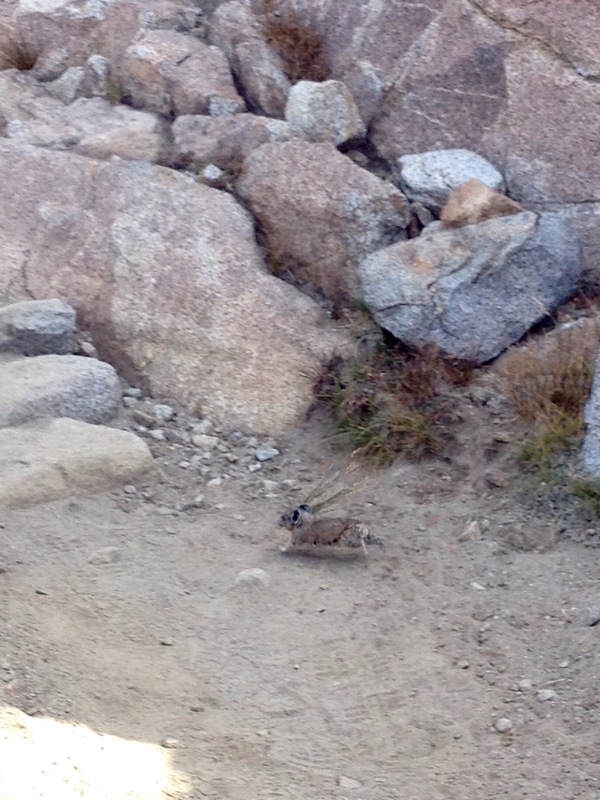 In the high Sierra, approaching Donahue Pass this little guy took time out of his busy schedule to model for me. 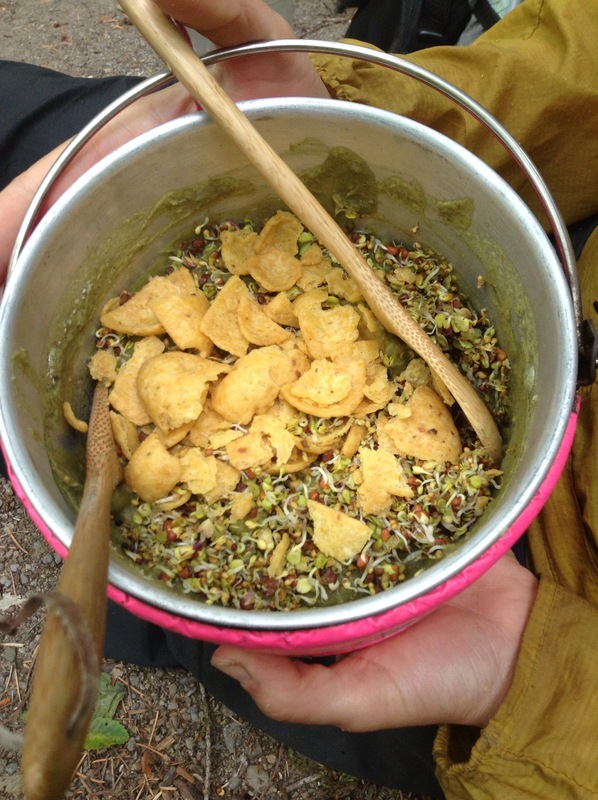 This entry was posted in Pacific Crest Trail, snacks and tagged pct, pika, sobo on September 22, 2015 by Harpo. 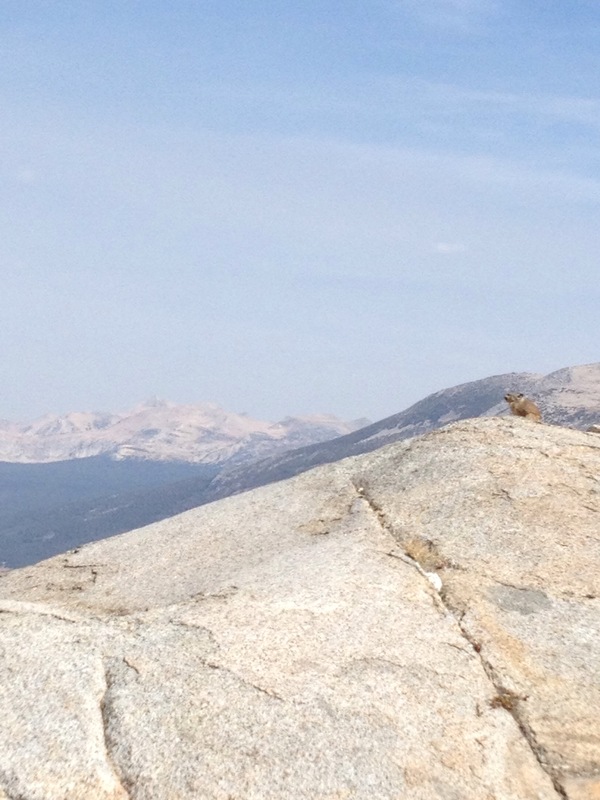 This is Bug, our new hiking buddy who we met coming into the Sierra at Donor Pass. She thru hiked last year and wanted to redo the sections she had to skip due to fire closures last season. She knocked out 33 miles her first day back on trail and quickly became a valued part of our SOBO crew. 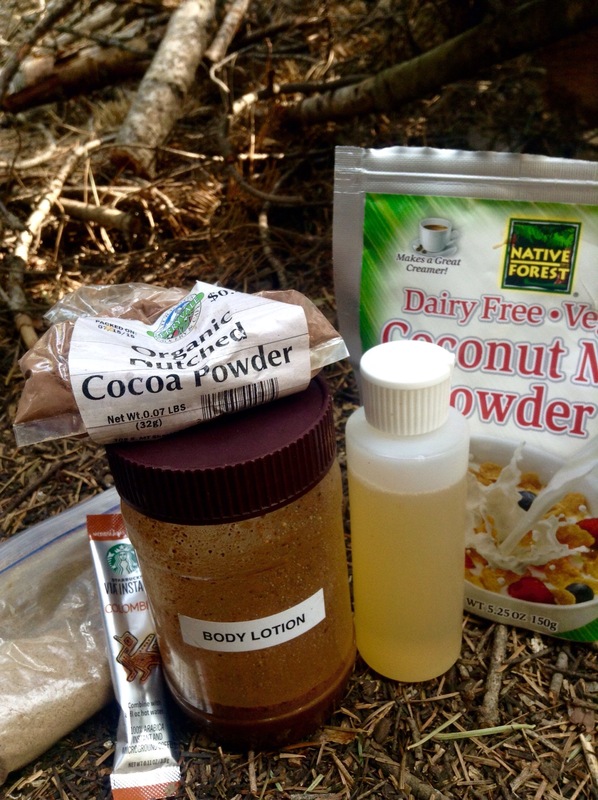 This entry was posted in Pacific Crest Trail, snacks and tagged pct, sobo, vegan, wrongwaygang on September 16, 2015 by Harpo. Harpo and I are always tinkering with our food systems. As any hiker knows, a major topic of discussion is ALWAYS food – how heavy it is, do you have enough, when you get to eat again, food fantasies and of course TOWN FOOD. 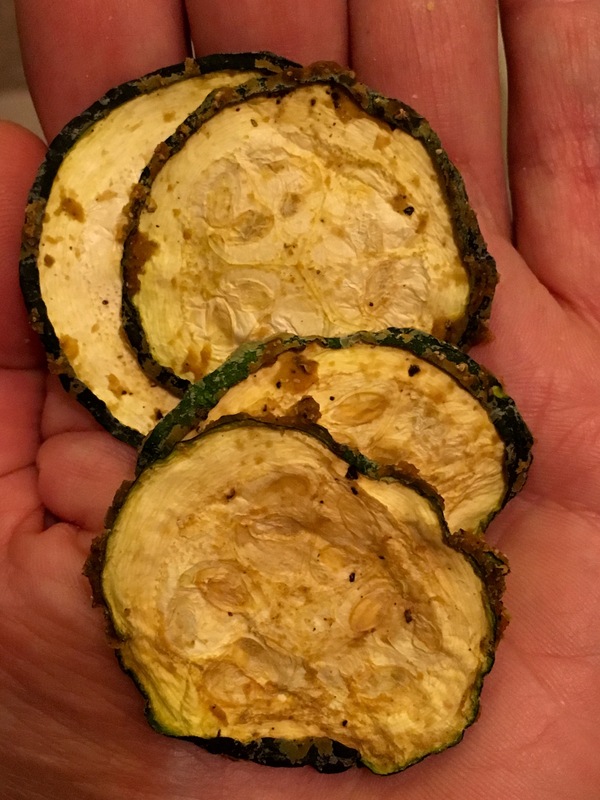 Our approach for the first 500 miles of our PCT theu has been a hybrid of our AT food system (we still had a few homemade dehydrated meals so we used them to cut costs) and some experimentation. We included a stove (we’re using a canister stove due to extreme fire danger, rather than the alcohol stove we used on the AT) so we can utilize our dehydrated meals, which has also helped speed up rehydrating ramen, miso, and dehydrated beans. We have hot food once a day, usually during our afternoon break. Breakfasts are a bar and some homemade HARPOW – a powder mix made of 1/3 coconut milk, 1/3 vegan chocolate protein powder, and 1/3 ramon (a Central American foraged superfood – we picked up a bunch when we were in Guatemala for yoga teacher training – it tastes kinda mocha like). Dinner is trail mix. During the day we have dried fruit & trail mix and maybe a bar for snacks. 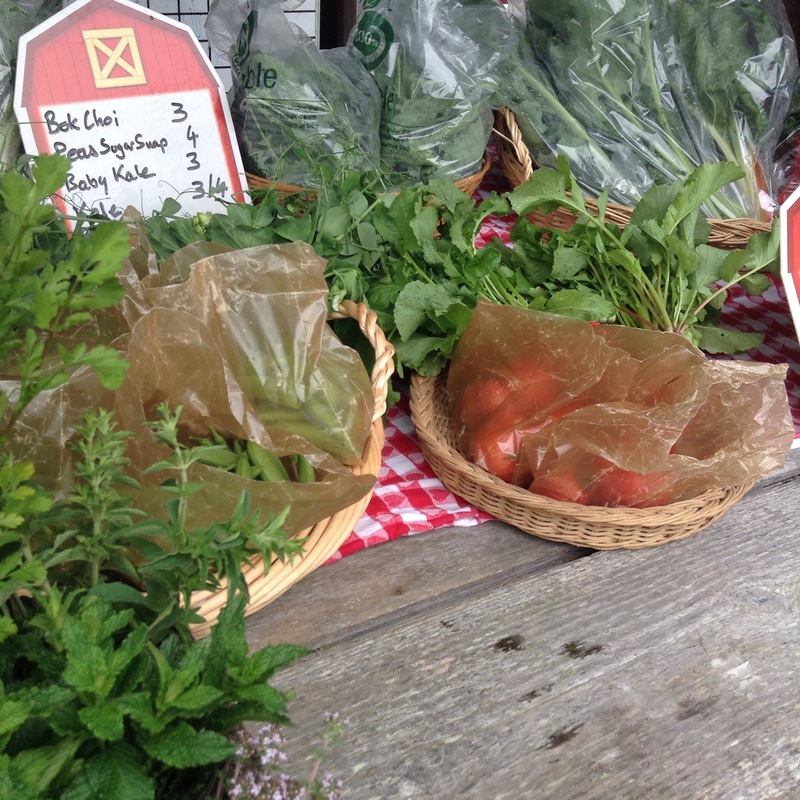 We were happy with our AT food system, and ate well for sure, but wanted more flexibility as the hike evolved. We dropping the stove with Harpo’s parents who are visiting us at Cascade Locks and are moving to cold hydration, which should suit the hot days ahead. We’ll keep eating ramen (with Edwards & Sons powders miso packets rather than the msg heavy and culturally insensitive ‘oriental flavor’ packets) and add in powdered hummus, beans, and soups. Also, we need to eat 2 jars of chocolate peanut butter in the first 2 days – these are our new ‘cook pots’ as our aluminum pot & cozy goes with the stove. Overall we’re following our original plan for PCT meals, and we haven’t starved yet! Also, Can I give a shout out to whoever engineered Fritos Scoops? They’re the perfect scooping solution for rehydrated beans and soup. Like any chip they crumble in the pack (the crumble topping reminds me of the vegan Frito pie my friend Pol fed the entire artist population of Pioneer Square when we worked at Elliot Bay Cafe) but when they’re good, they’re great. 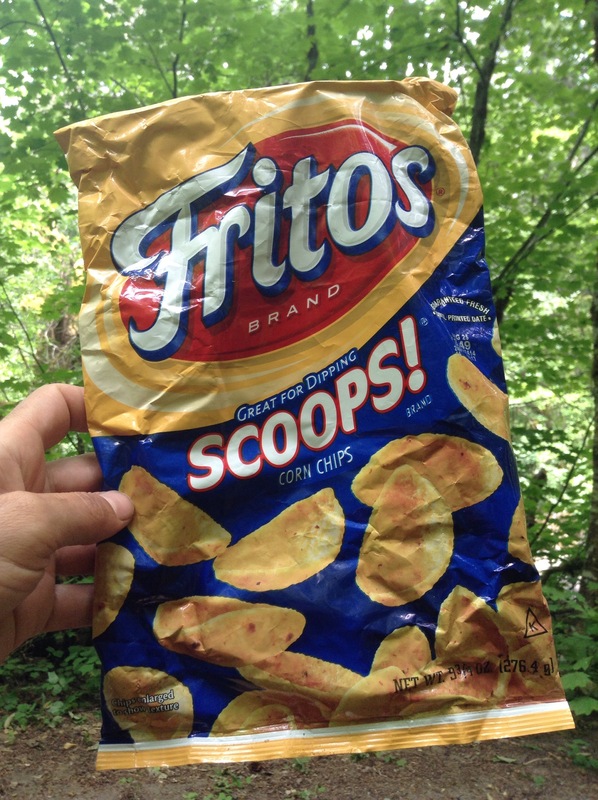 This entry was posted in Appalachian Trail, northwestschoolofmysticalhikers, Pacific Crest Trail, snacks and tagged food, fritos, Pacific Crest Trail, snacks, thruhike, TOWNFOOD, wrongwaygang on July 16, 2015 by GROUCHO. A few days of gorging ourselves on sun ripened wild dusty blueberries and red black huckleberries left us wondering if they were the same species. Same leaf structure, same perferred environment and similar season. As it turns out Huckleberry is a name used in North America for several plants in the family Ericaceae, in two closely related genera: Vaccinium and Gaylussacia. In fact, wild huckleberries are called blueberries in Appalachia and England. 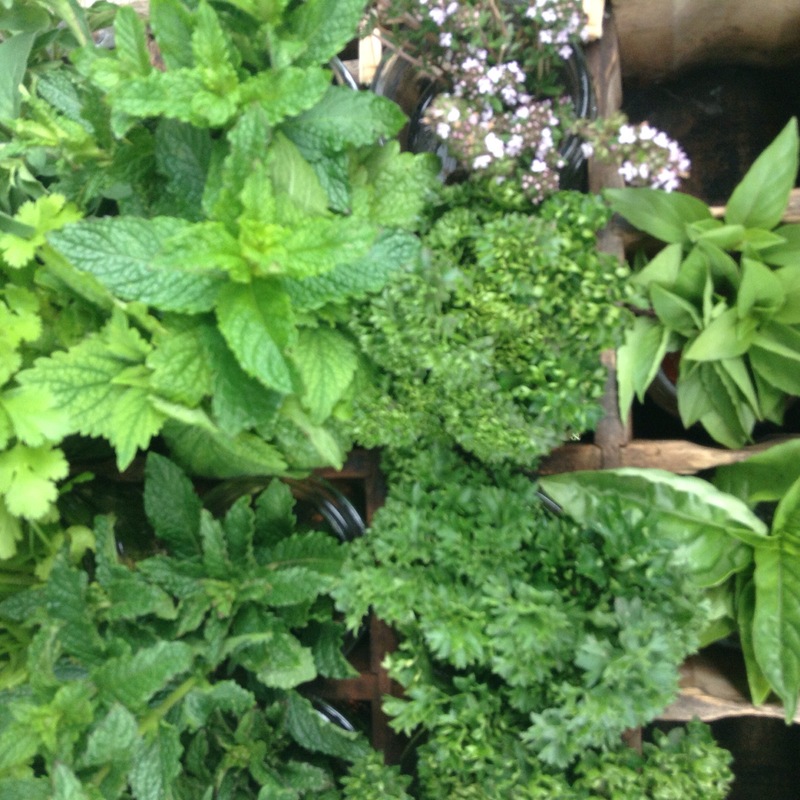 So now we know… Happy foraging! 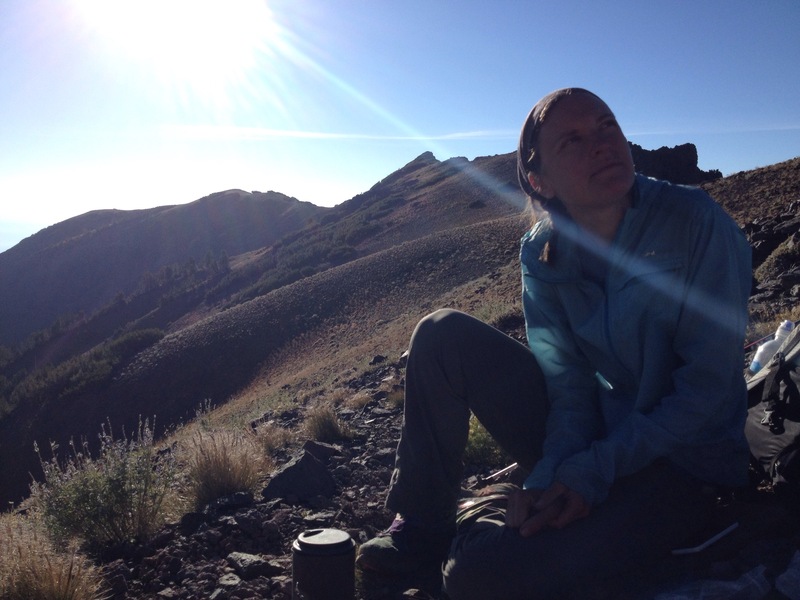 This entry was posted in northwestschoolofmysticalhikers, Pacific Crest Trail, snacks and tagged foraging, Pacific Crest Trail, sobo, thruhike, wildfood, wrongwaygang on July 15, 2015 by GROUCHO.